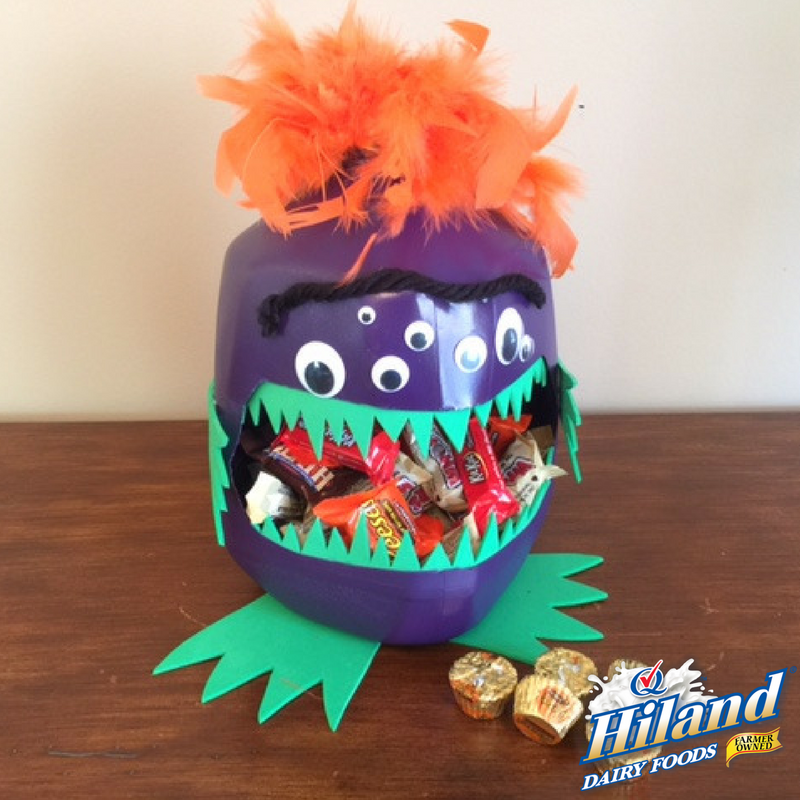 This Halloween, make your own monster candy holder using a repurposed Hiland Dairy milk jug. How adorable would this look on your front porch for the trick-or-treaters? What’s more? It’s eerily easy to create! 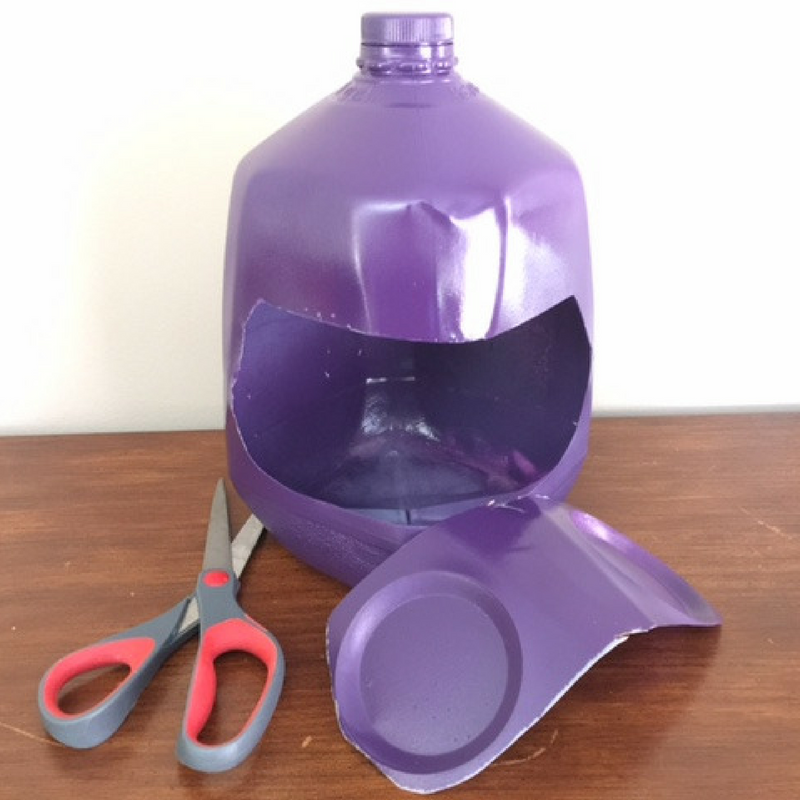 Spray-paint entire jug (leaving the lid on). Allow to dry completely, at least 24 hours. 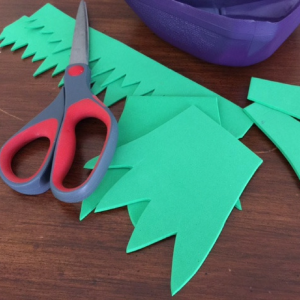 Using scissors, cut out a large mouth opening in the front of your jug. 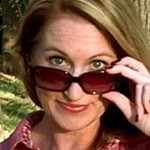 Tip: The handle should be on the opposite (back) side of the mouth opening. Using scissors, cut out spiky feet, hands and teeth from the foam sheets. Using scissors, cut a string of yarn for the eyebrow. 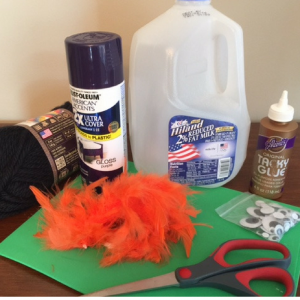 Using scissors, cut 6 inches of feathers from a feather boa for the hair. Glue the foam feet, foam hands, foam teeth, googly eyes, yarn eyebrow and feather hair to the jug. Allow to dry completely. 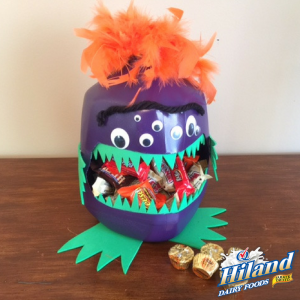 Add candy and get ready for trick-or-treaters! 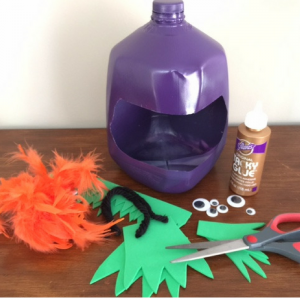 You can add red acrylic paint to the foam teeth to add “blood” to your monster for some extra-gruesome fun. Happy Halloween, Divas!